I can't actually believe that it's been 8 MONTHS since my last blog post. It has been a challenging few months with much sadness. My father passed away a few weeks ago after a long and difficult illness. We were very close and I will miss him terribly. My heart will never be whole again. I take comfort in the fact that he is no longer suffering physically, and will hold all the special memories we have together close to my heart. 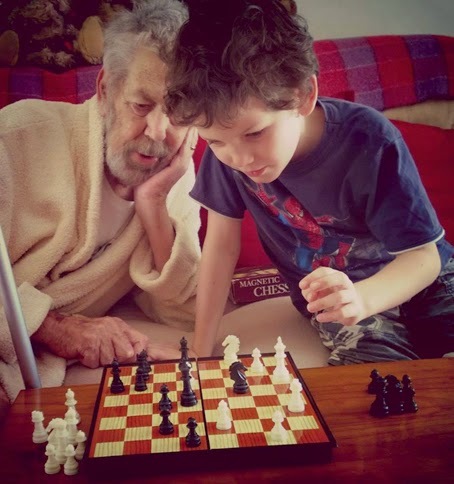 A special moment captured... first game of Chess with his beloved Papa. 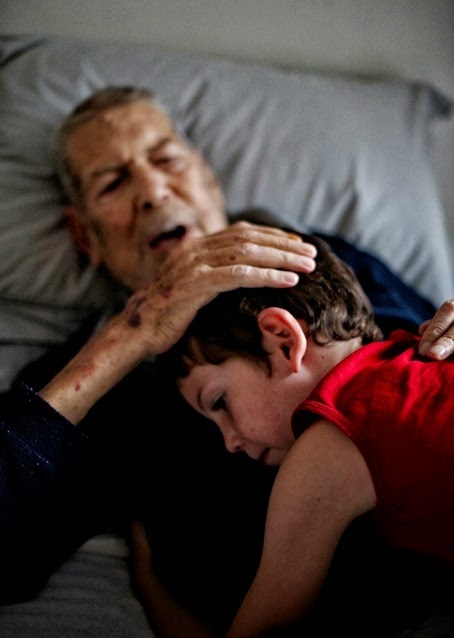 A deep love shared between a grandson and his 'Papa'. Your words are beautiful and both these photos so poignant. Your boy will treasure them as he gets older. so sorry for you loss .. hope you feel slowly better ..